Just as many other Greek islands, Rhodos Greece is famous for its beaches. If you have taken any Rhodes cruises, after seeing Rhodes sights, it’s very possible you set off to see some of its famous Rhodes Greece beaches, too! And we would also love to see a photo of your day on Rhodes beach, too! We will turn your Rhodes beach experiences and photo into a webpage. You’ll be a star so don’t forget to notify your friends and family to check it out! 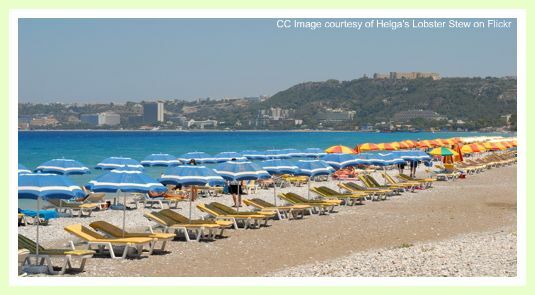 Have A Great Story About Rhodos beaches?